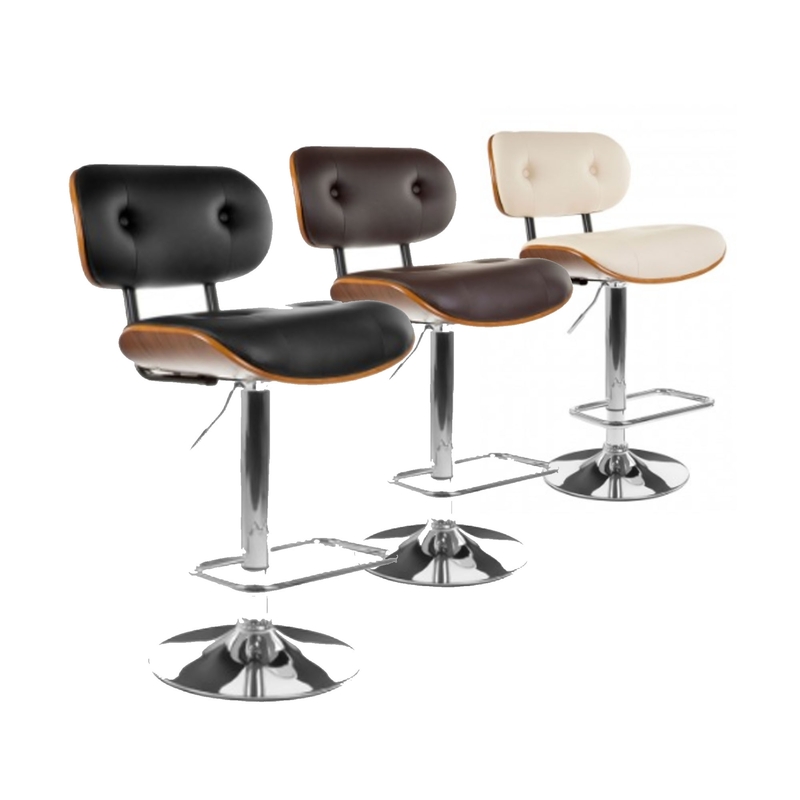 This is an amazing bar stool with a stunning contemporary design and trendy style. it'd look magnificent in any home because of its modern style and comfort. It's created out of bentwood which gently curves for extra comfort, the seat has a leather effect enhanced with button detail and padding for extra comfort. This chair also includes an adjustable height and a sturdy, chrome base.